I tried to put together a lot of words tonight, but words aren't working so well for me. 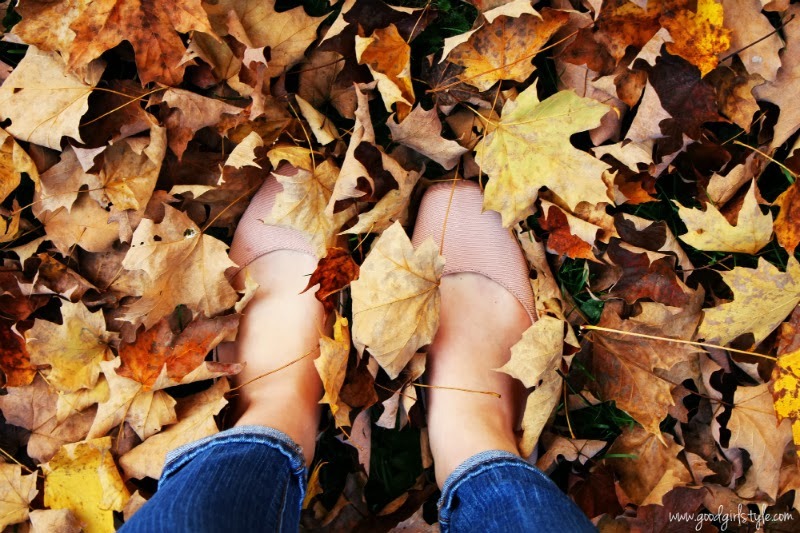 So instead I'll just tell you that I had a pumpkin latte today and it was delicious, and I love these shoes and crunchy piles of leaves. Too precious!! 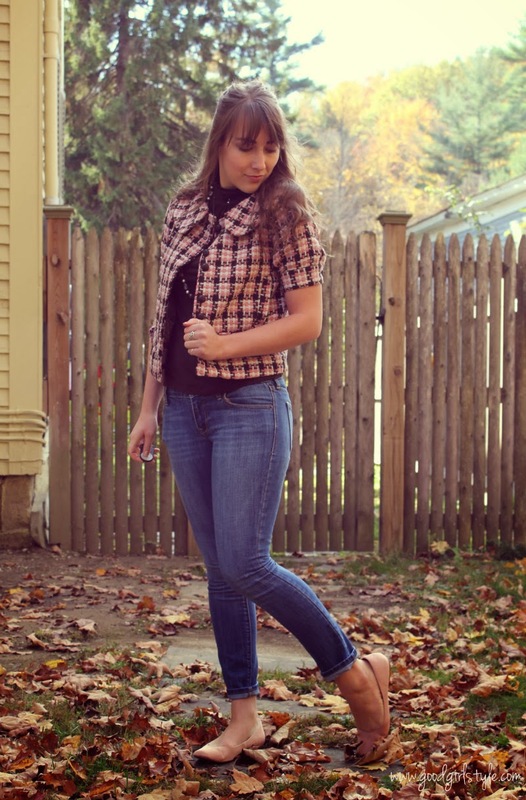 I love me some fun-colored tweed. What an adorable outfit.